When I first started blogging however many years ago, I never even thought about sharing book reviews. All I did was sit down and write about what I had been up to recently. It was more of a diary than anything else. When I started This Northern Gal, my current blog, I wanted it to be something different. I wanted it to be a one-stop shop of all my favourite things, whether that was adventures, meals out, reflections or anything else I wanted to write about. It became my online home and I’m so proud of my little corner of the internet. If I look back through my blog archives, it tells me that I posted my first book review on January 2nd, 2014. It was a review of Life of Pi if you’re curious. It just seemed like a natural progression to post about what I’d been reading, just like I had been posting about what I had been eating, seeing and doing. And yet, I still remember feeling nervous when I posted my earliest reviews. Who on earth would care about what I was reading or my opinion on books? I had no previous experience, degree or anything that made me worth listening to, or at least that was what I thought then. All I had was a love of books and a desire to share. Fast forward over three years and my book reviews are some of my best posts. When I post about what I’m reading on Instagram and Twitter, they’re the updates that get the best engagement. Books have become a major part of my blogging repertoire and I can’t imagine not sharing reviews anymore. Book reviewing is a big part of my life but I think it’s also something that is a little shadowy. The reviewing process itself isn’t something that is usually talked about so I thought I’d offer a little bit more of an insight into it. Of course, I do this part time and mainly for a hobby so this won’t be a universal experience! First up, I’m lucky enough to work with publishers now. Most of the time I am approached for collaborations or will answer a callout on social media. I have also been known to approach publishers that I respect and enjoy too - it’s a lot less scary than you would think! Most of this is done by email or over Twitter. Sometimes you will meet a contact at an event as well so it’s useful to carry your contact details, just in case. Since I don’t live in London, this doesn’t happen all that much, however! The result of this is that sometimes I’ll be sent copies of books. Some of these may be ARCs (Advance Reader Copies/ Advance Review Copies depending on who you ask for a definition). Sometimes I’ll also take part in blog tours, which are a way of promoting new releases. I don’t currently accept paid sponsorship deals but I know it is something that other book bloggers and reviewers do. For some of these books, I have agreed to review the book in exchange for being given it, though this by no means guarantees a positive review (but we’ll come back to this soon). On other occasions, publishers will send me books just because they think I might like them but I’m under no obligation to share them. And, of course, I still spend far too much money buying books when I’m out and about too. So what does this mean? Beyond the fact that I’m swiftly running out of space on my bookshelves? It means that I have a never-ending TBR and need to prioritise my reading. If I have agreed to write a review or take part in a blog tour, I have a deadline to meet. It’s been previously agreed upon by both parties but I have to make sure I meet it! As such, I’ll make a note of when I need to read books by and prioritise those that I have a deadline to work with. If I don’t have any such books to read, I read whatever takes my fancy. When it comes to actually reviewing books, I like to keep a notebook on hand. Most of the time I’ll leave my notes to the end of the book but if something jumps out at me, I like to make sure that I remember it! If I can, I’ll write a review within a day or two of finishing the book to be sure that it’s fresh in my mind. That’s not always possible however so having a set of notes is really useful and means that I (hopefully) don’t miss anything important in my review. It’s not always a perfect system but it works for me. This Northern Gal is a place for all the things I love, books included. What this means is that you won’t find negative book reviews on my site. I’ll only write them if I enjoyed a book. In part, this is due to the guiding ethos for my blog but it is also because I won’t force myself to finish a book that I’m not enjoying. It might be that I’m just not in the mood for the book at that moment in time, in which case I might try again a little later. Luckily, I’m really selective with the books that I accept for review so it’s not usually a problem if I’m not enjoying a book. If it is, I’ll get in contact with the publisher as soon as I can and politely explain that I don’t think it is the book for me. It might seem a little awkward but communication is key when you’re working in collaboration. A new agreement can usually be reached, especially if you manage to give them plenty of notice. While reviewing books is certainly a hobby, it is not one without challenges or hard work. I know that sometimes it can seem like books are just given out carelessly but that’s not true. I worked hard on my blog before I began to receive ARCs and any collaboration, paid or otherwise, needs to be met with dedication, commitment and professionalism. It also requires a love of books, and that is certainly something I have in abundance. Whether or not you’re thinking of reviewing books or were just curious as to the behind-the-scenes details, I hope this post gave you a little insight into how and why I review books on my blog. It’s probably up there with the more unusual hobbies but I can’t imagine not doing it now. A massive thank you to Kelly from This Northern Girl for writing this fantastic post. I totally agree with the never-ending TBR list, I have a constant stream of books coming through the letterbox. I found myself nodding along to almost everything in the post. 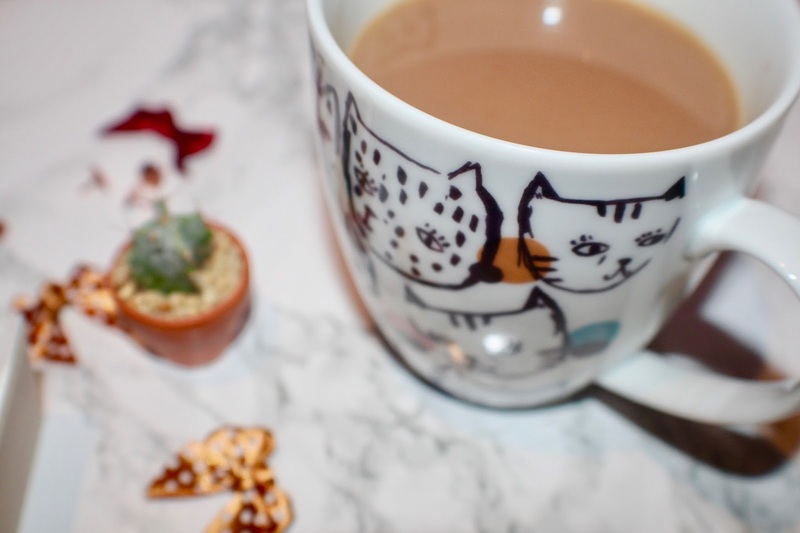 I absolutely loved this post... make sure to check out This Northern Girl and her fantastic blog! Ahh what a fabulous job Kelly! I love a good book, but I’m so fussy with what I read. It sounds fabulous to be reviewing, and look how far you’ve come from day one! Thank you for such a lovely comment Claudia! I've definitely become more ruthless with what I don't read/ finish in recent years. This is a really interesting post. I'm fortunate enough to belong to a Book Group IRL so I review our books each month and I love doing it. I also love your tip about writing something down as you come across it. It seems so obvious but I haven't done so before and I know I've forgotten things so I'm going to start doing this with our next book! I'm glad you enjoyed the post Lisa! I just started trying my hand at reviewing books and it is fun but I agree it means my book shelves are getting even more full! I have found netgalley a wonderful place to discover new releases and start great relationships with publishers. Thanks for the tip Isabel! I honestly find this fascinating as I am in awe of people who can power through so many books! I do mini-book reviews in a round up of what I read each month and I can find that hard work trying to remember everything, so you've given me a few tips! I love to read, and finding book reviews are so good. It helps me decide whether I should (or shouldn't) buy a book. I love reading peoples books reviews. I'm not too great at writing them myself though!